Greg Crouchley is a passionate student pilot. 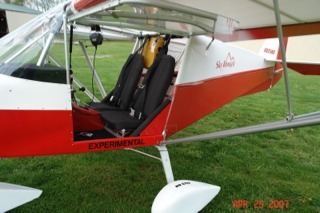 After reading an article about Light Sport Aircraft in the April 2006 issue of Popular Mechanics, Greg packed up some gear and headed off to a flight school to get his license. 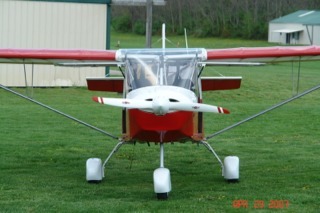 Upon his return and finding no aircraft to rent in his home state of Rhode Island, he decided to buy and build a SkyRanger LSA. “When I visit the airport, which is an airport community where the folks all around the airport have homes with hangers attached (grass strip), I simply camp there. This way I get a lot of solo hours in the calm evenings and daybreak morning flights. 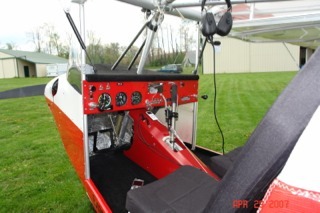 Pictures of Greg’s SkyRanger are below. You can view more photos of his completed project online. Thanks for the kind words, Greg, and best of luck on your check-ride. This entry was posted in Customer Stories by ForeFlight. Bookmark the permalink.